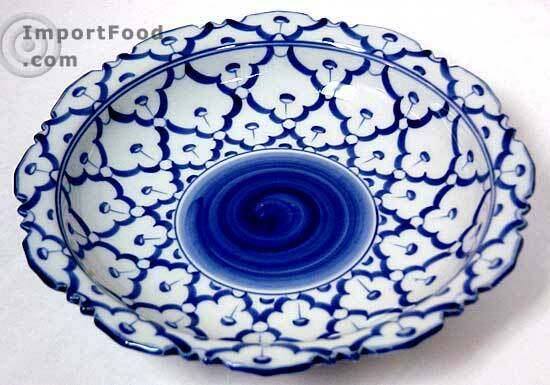 Handpainted ceramic serving dish in a traditional fancy style, imported from Thailand. 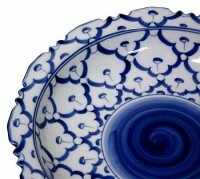 Each piece is painted by hand using a traditional design unique to Thai artisans. The pictures say it all--a wonderful design with great attention to detail. 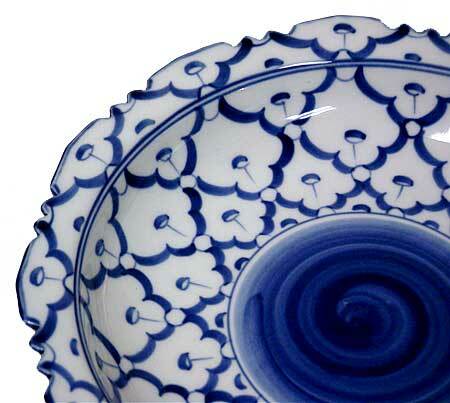 Use for any purpose, but popular in Thailand as a platter for serving fresh fruit. 7" in diameter, and heavy--not something you think will break with the strike of a heavy spoon. Certified for use in microwave or conventional oven, as well as dishwasher-safe. Each piece will arrive in perfect condition as we place a great importance on packing methods. This same plate is also available on a pedestal.